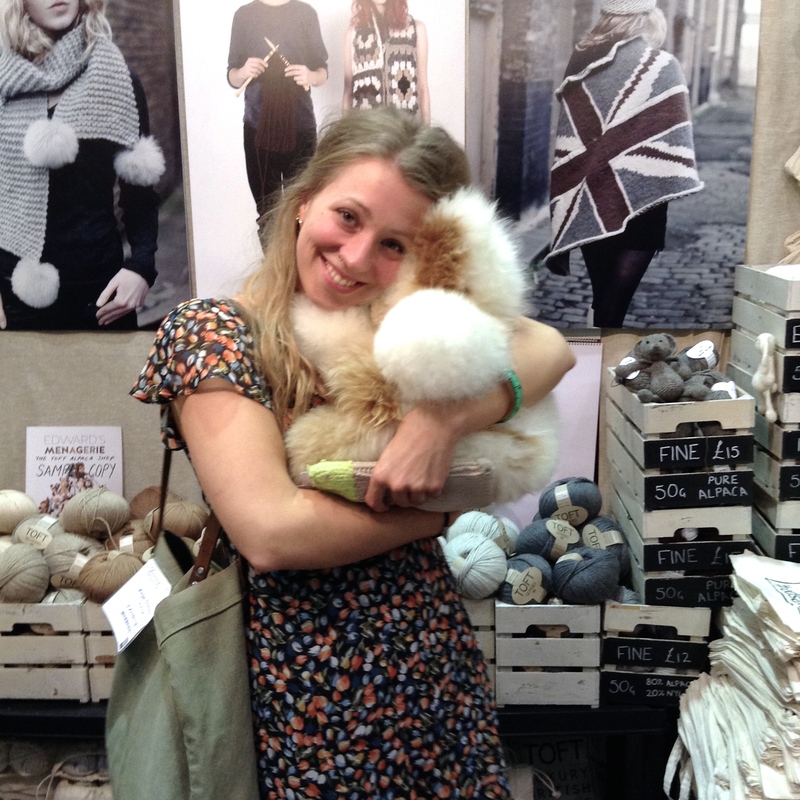 Welcome back to the highlight of this years’s Wool Week! 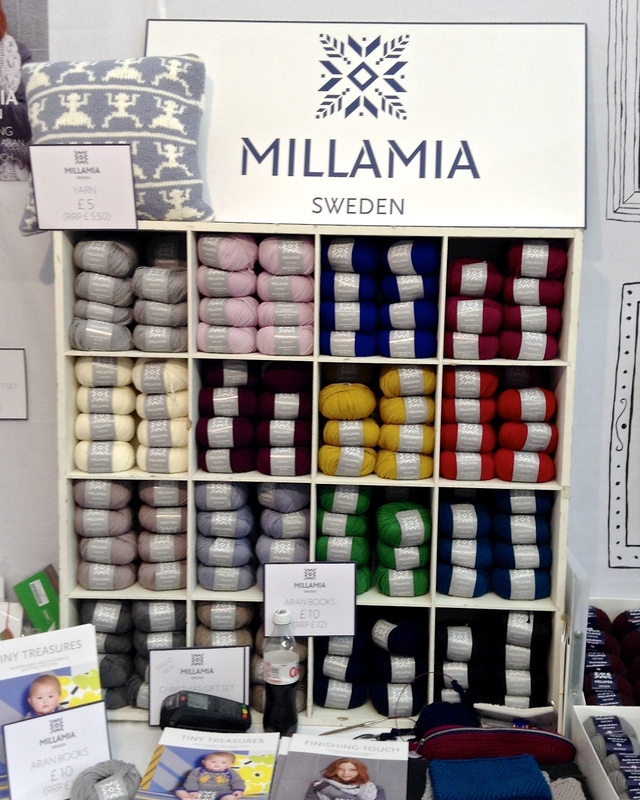 The Knitting and Stitching Show at Alexandra Palace took place during Wool Week this year, and was my personal finale of the week. My friend Sarah from Nottingham Knitter came to visit so we could spend the day at Ally Pally together, and boy did we have fun! 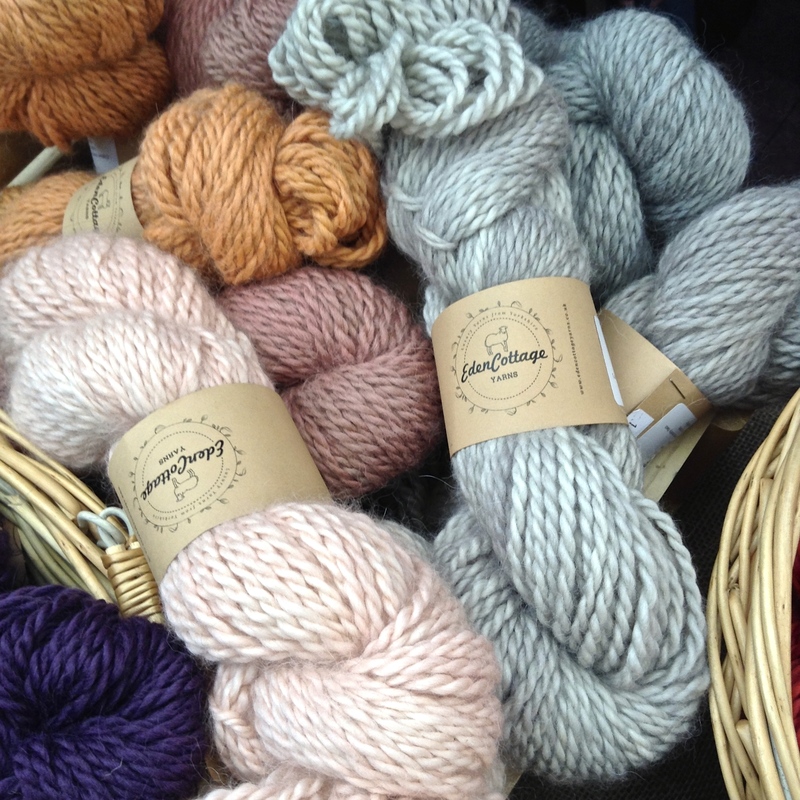 Our first stop was the LoveKnitting/Rowan Yarns stall. We said Hi to designers Sarah Hatton and Jem Weston before heading off into the depths of the exhibition. Rowan has designed a variety of beautiful ponchos just for Wool Week – I’ve wanted a Poncho for a while now. Just which colourway to choose.. help? Off we were to the famous Black Sheep Wools‘ Yarn Dive (which shall not be pictured here – things do get a bit… passionate there sometimes). I managed to pull away from the pile without buying anything for the first year ever, but I was on a budget and there was so much more to see. 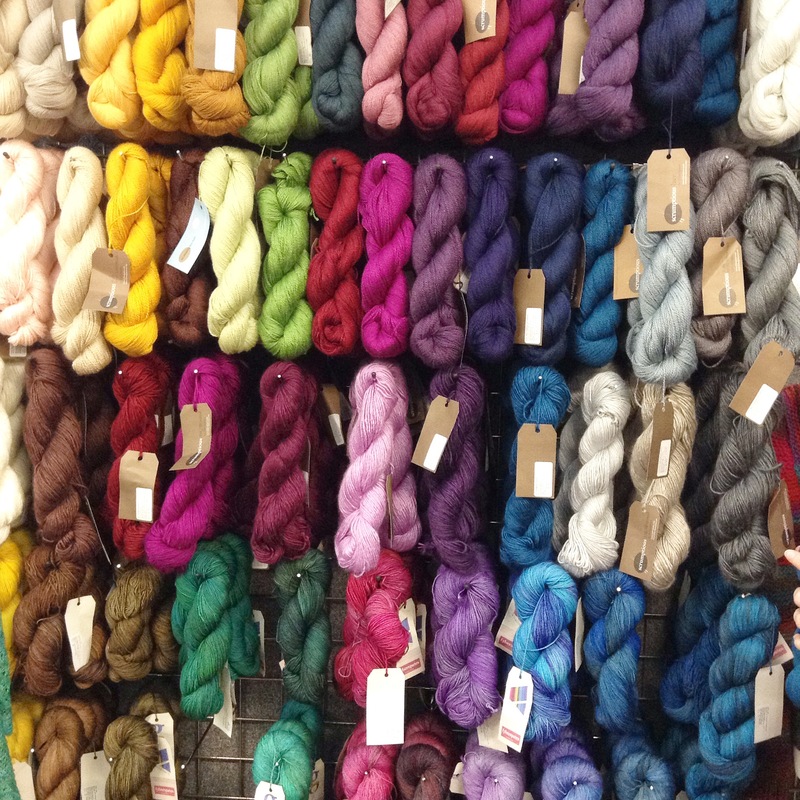 After all, our biggest interest was yarn, Yarn and more YARN. I was searching for Fyberspates Sparkle Sock Yarn, only to find out it had been discontinued (sad). Eden Cottage Yarns had some of the softest, fluffiest Baby Alpaca Yarn I’ve ever felt. And such delicious colours too! But there were of course also lots of finished projects and patterns to be admired. 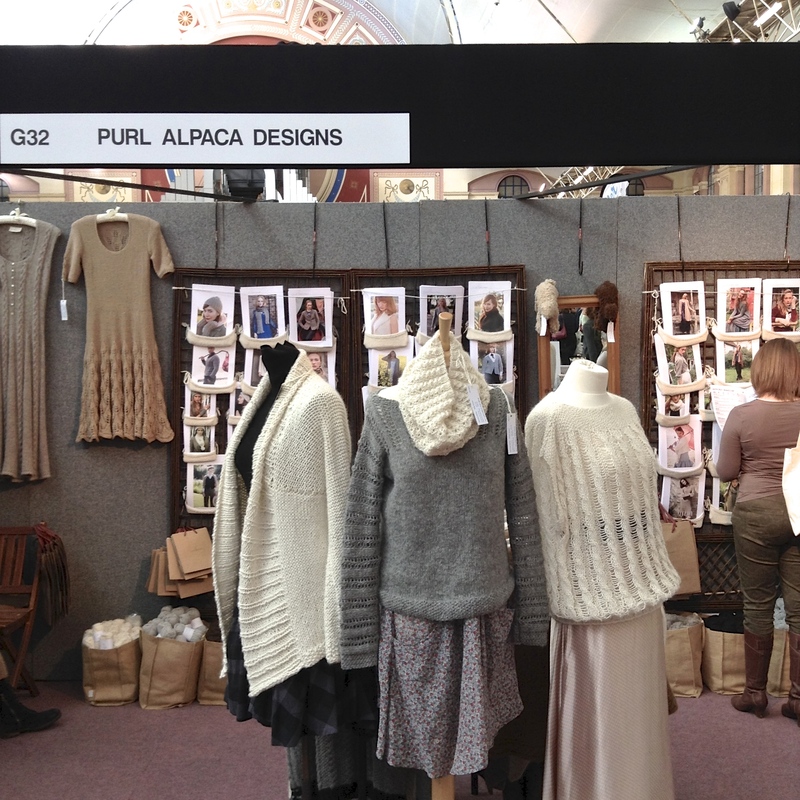 Purl Alpaca Designs are one of my favourite stalls every year, their designs are just so incredibly flattering and I can’t stress enough how much I love their Alpaca Yarns in natural shades. 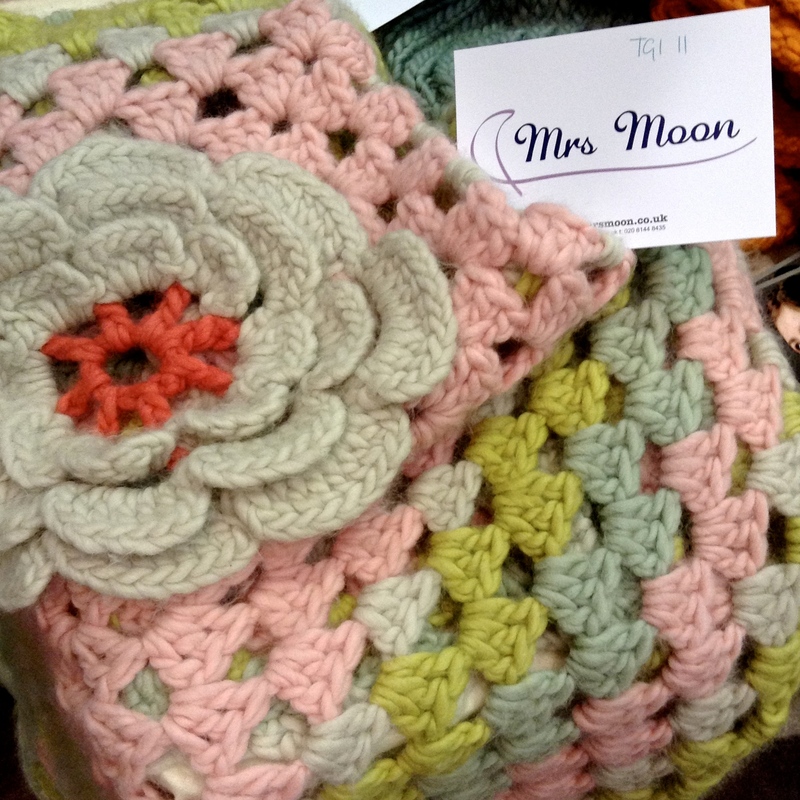 Mrs Moon‘s stunning Super Giant Granny Square blanket first caught my eye at the Handmade Fair a few weeks ago, I was delighted to see it again at Ally Pally. Another future project for sure, and their pastel colours are just so pretty! 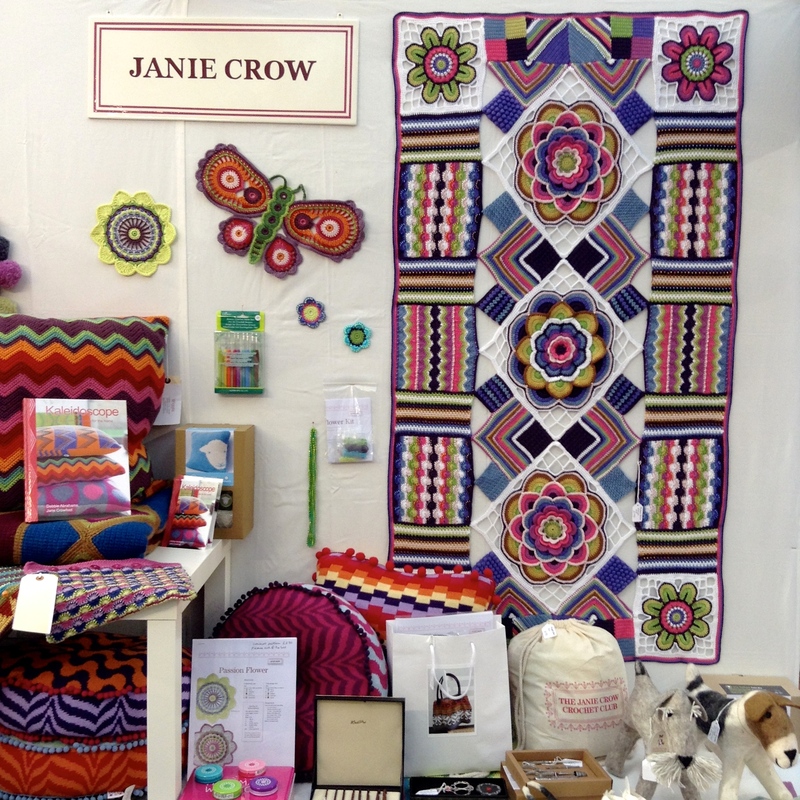 The crochet work on display at Jane Crowfoot‘s stall was just breathtaking, I need to join one of her CAL’s one of these days. 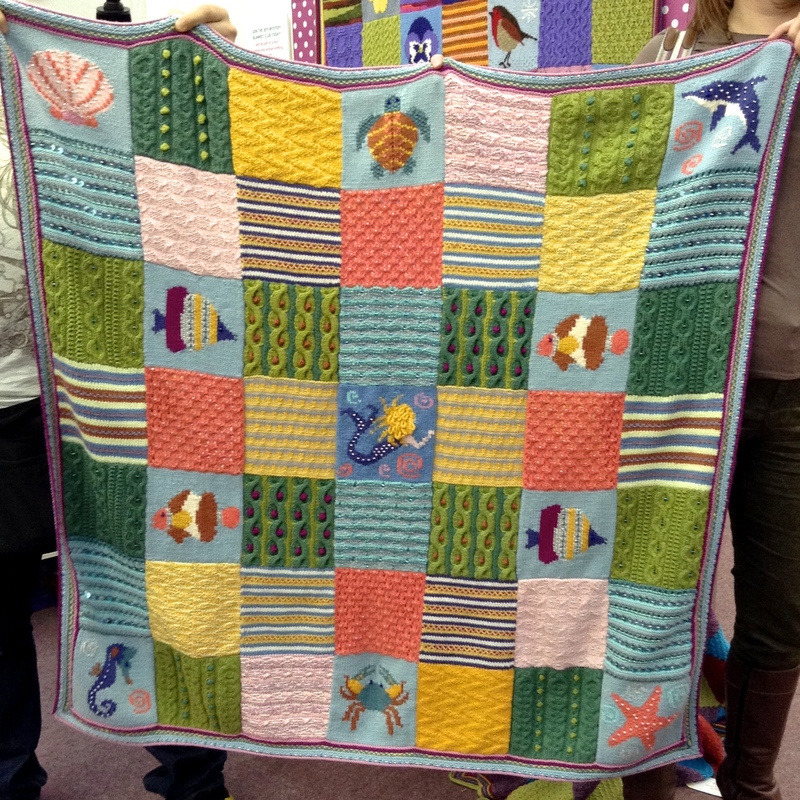 And while we’re talking KAL’s – don’t you just love Debbie Abrahams‘ Beneath The Sea blanket? I mean come on, it has mermaids and seahorses and glitzy things, how much better does it get? I was gutted when I found out that the patterns are only available for one year for members of her Mystery Blanket Club. Sue Stratford had some pretty cool Knitting Kits. I loved the chickens, Sarah really liked the Monster Cat. 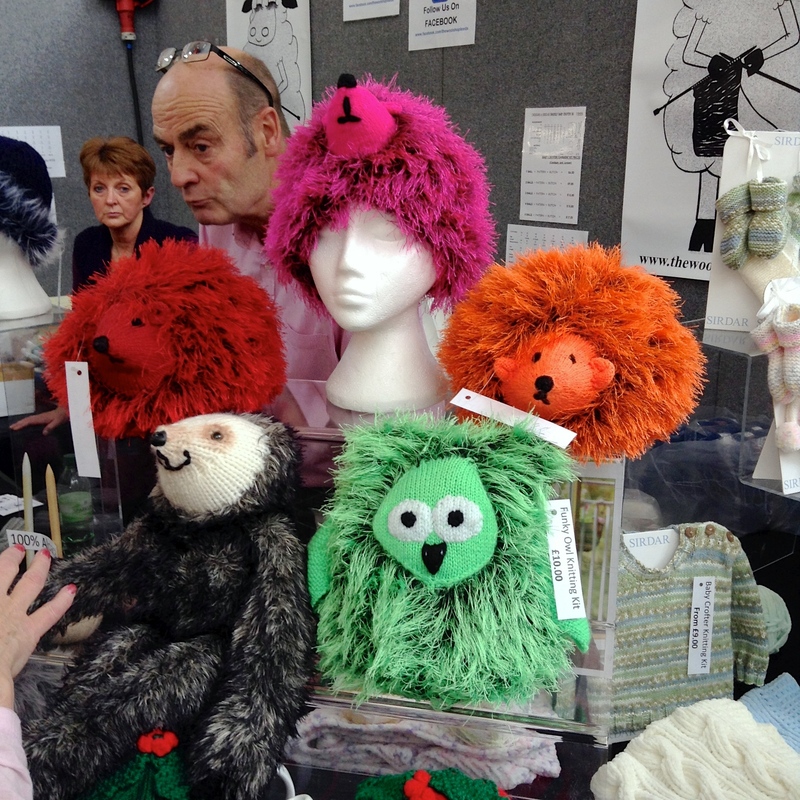 These Hedgehog Hats win my personal ‘Wacky Knit of the Day’ award. 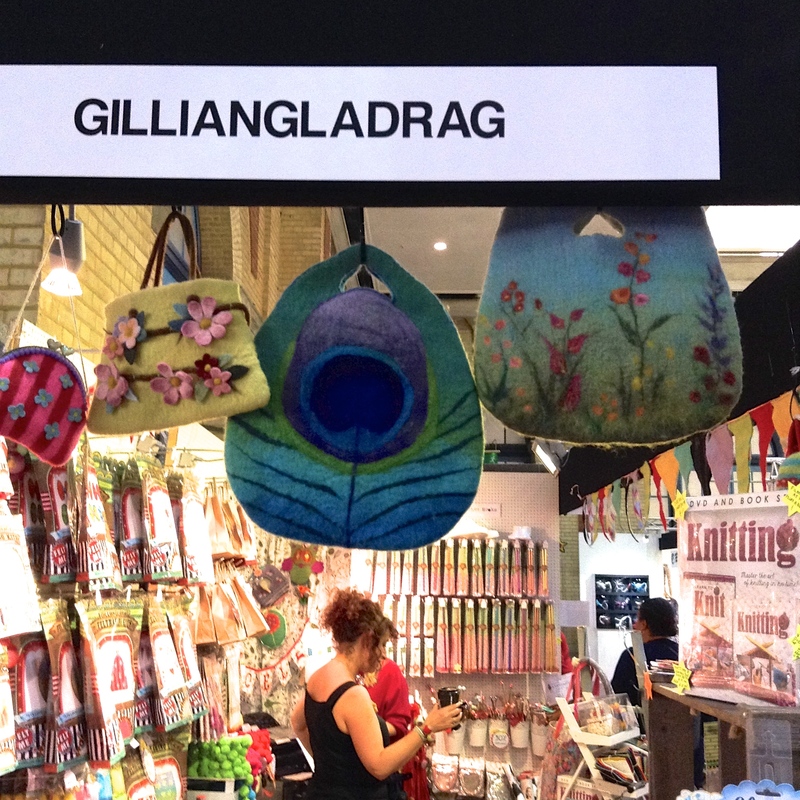 Gillian Gladrag had the cutest peacock bag felting kit, sadly I missed out on this one. And then there was this incredible exhibition called ‘Black Sheep – The Darker Side of Felt’. Mind. Blown. Check out the amazing dresses, and the felted skulls! And those alien guys – they are the 7 Deadly Sins. But in my last post I promised you the story of how I lost my heart at Ally Pally, so here it goes. Sarah and I were on our way home, and just wanted to stop quickly at the Toft Alpaca Shop before leaving. 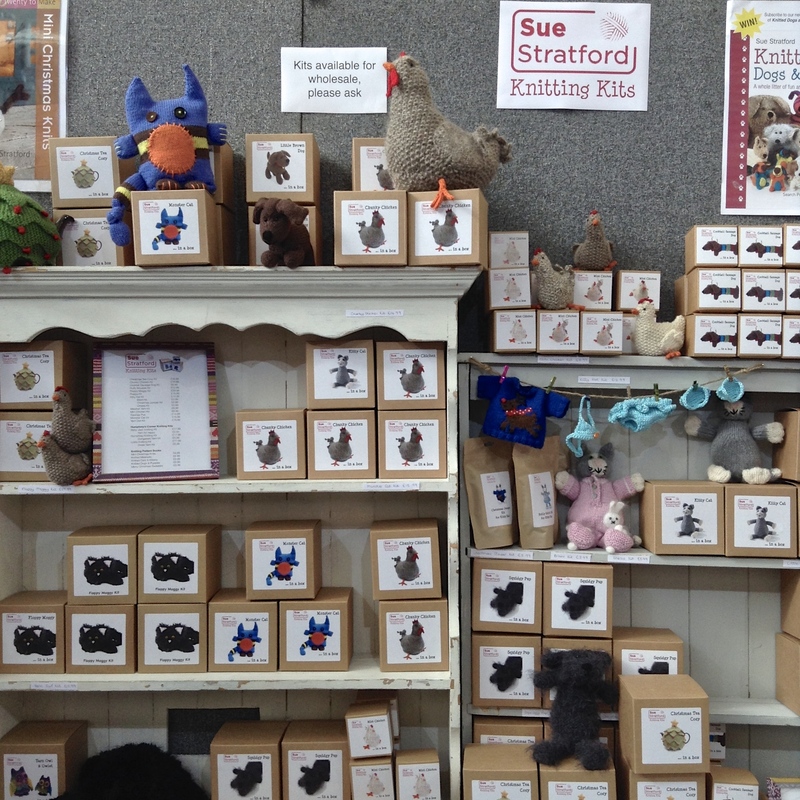 Everybody loves the cute crochet animals from Edward’s Menagerie and we are no exception. But when we arrived at the stall, there was THIS guy. 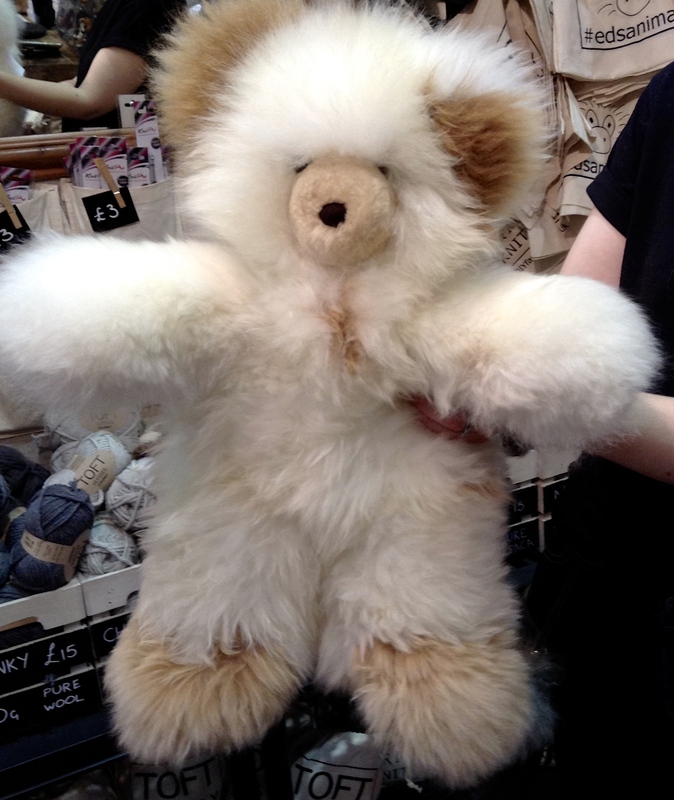 Isn’t he just the cutest, fluffiest, best Teddy you’ve ever seen? And once I had given him a good hug there was no way I could leave him behind. NO WAY. The Toft guys probably thought I was a bit weird. But I don’t care. All I know is that Mr Fox said Teddy could come home with us. And that made me one happy Snowfox. Fantastic, Anja! Looks like a ton of fun. Fun! Thanks for the visit, and I love those ponchos too! TEDDY! :D What an awesome day, I’m so glad we went!